My heart danced like Joy from the 2015 Pixar film “Inside Out” as I strolled through Golden Gate Park with Kirsten and Stephen, a couple of Pixar employees who found love and are planning a March wedding. 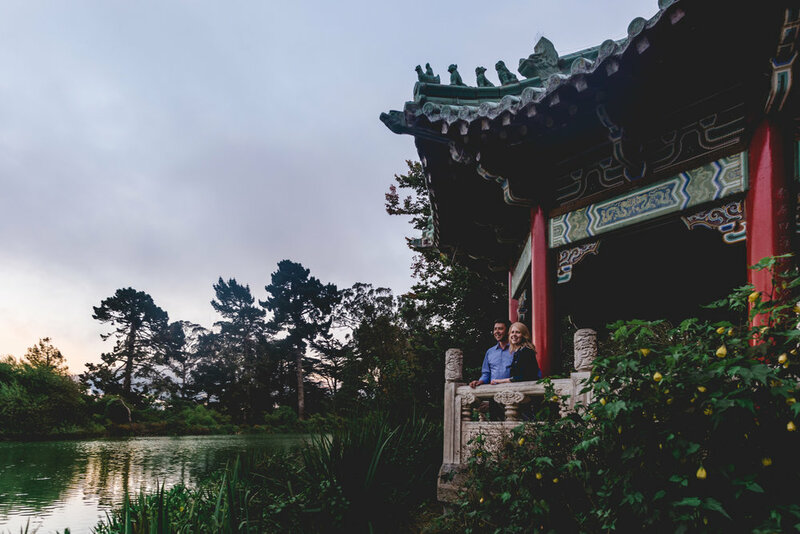 When Kirsten reached out to me, she expressed that she hoped to take their engagement photos in the park, specifically around Stow Lake and in the Shakespeare Garden, and I was thrilled. Golden Gate Park, which is actually larger than Central Park, is so vast I haven’t even explored it all yet! But the manicured pockets with mossy trees, lush greenery and rocky waterfalls offer a wide variety of natural beauty, peppered throughout with fun structures, such as the bright red and green pagoda by the lake. In the Shakespeare Garden, filled with flowers found on the pages of Shakespeare’s plays, we took cozy bench photographs and giggle-filled portraits with the bust of Shakespeare. 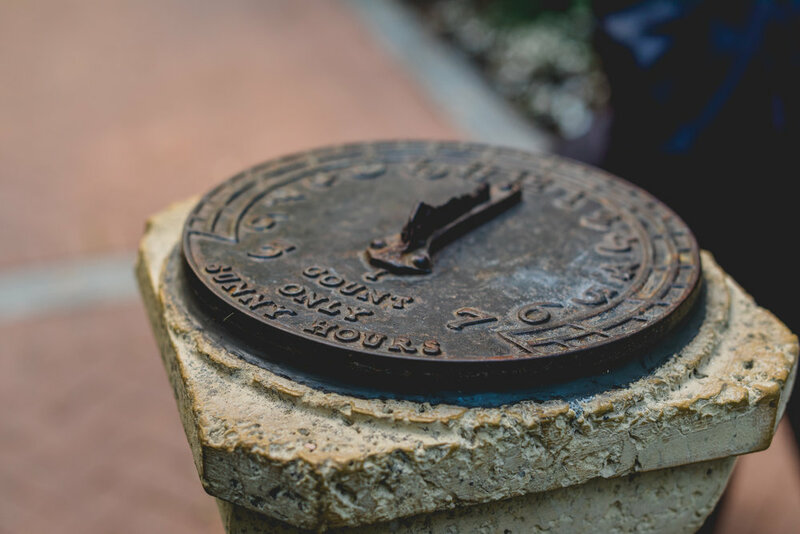 As the sun began to set and the temperature started to drop, Kirsten was prepared, as she wisely brought a jean jacket for protection from the cool evening air. While sleeveless dresses are perfect for warm sessions, I recommend that all of my brides-to-be bring something to throw on if things start to cool down during a photo shoot. No one wants to shiver their way through engagement pictures! The sunset photos by the lake, which shone gold in the evening light, were some of my favorites of the day, as were the photos in the pagoda. But photographing these two dancing together beneath the glow of a streetlight as night began to fall was the high point of the shoot for me. I can’t wait to photograph their wedding at the Outdoor Art Club in Mill Valley, a location they used to walk past when they had only just begun their relationship, peering in at the joyful celebrations inside. In March, that celebration will be their own. 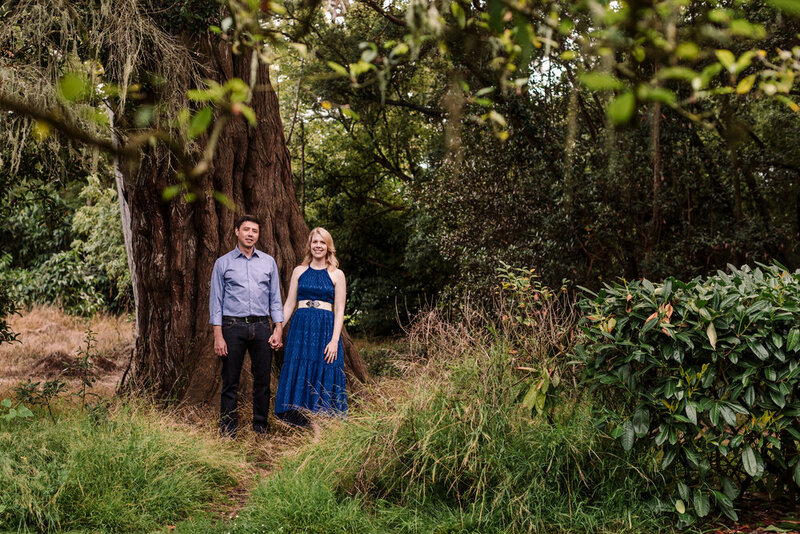 Check out a few of my favorites from the Golden Gate Park engagement session below!